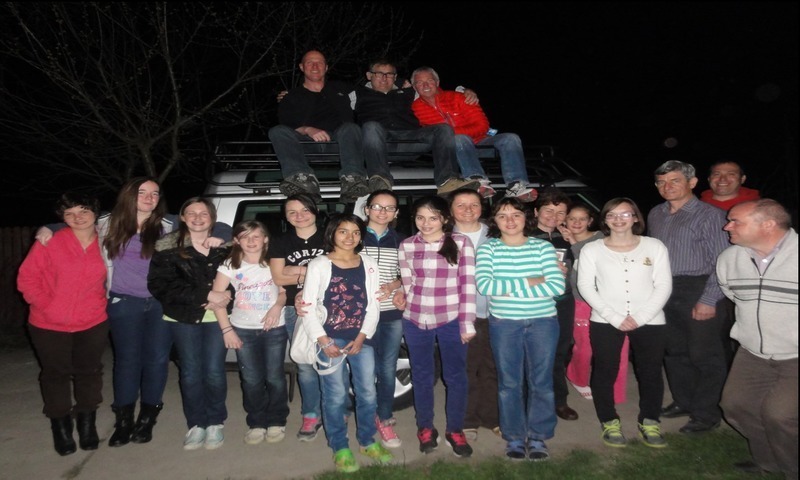 Thanks to your generosity, what started as an idea to start a project to help support the work of Stand by Me in Romania has become a success. The amount raised to date is £5720 towards a target of £7000. We were able to buy enough clothing for the girls to last 2 years including boots, jeans, tops, coats, hats, gloves, scarves, slippers and backpacks. We also purchased football goals, tennis and badminton equipment and swingballs. We (Graham, Bob and Steve) set off on Thursday 20th March at 1am and arrived at the House of Hope at midnight on Saturday, after 36 hours of driving in a 48 hour period covering 1550 miles! The others had flown to Dobrun and had already arrived. On Sunday we were introduced to Cami and the girls, and spent the day with them visiting a park, funfair and zoo. Copious amounts of candy floss and ice-cream were consumed, followed by burgers and more ice-cream as a treat from Alan & Maddie. We spent the afternoon back at the home for a wonderful barbeque. A couple of the older Romanian girls spoke good English and it was nice to see our girls play and interact with them. Cami has created a warm family atmosphere and these vulnerable girls, that had no hope for the future, are now well rounded, educated, accepted and loved. The girls were delighted to receive their backpacks and gifts provided by Oakfield’s Montessori School. The Landrover was left with Cami and has been put to work on the farm that now provides produce to a level close to self-sufficiency. Thank you for your support. We just started the ball rolling with an idea, and without your generosity it would not have been possible. Every gift and donation has made a difference. We are still aiming to reach £7000 to meet the ongoing needs of the children. So whether you donated money, sponsored the ‘mud n madness’ team, prayed or encouraged us, it is all making an amazing difference in the children’s lives. It’s easy in life to find reasons to justify why we shouldn’t get involved and support a particular cause and that can result in opportunities to help others being missed. People are attracted to positive encouraging ideas so if you’ve had a niggling or burning desire to start a project, just make a start and see where it leads. Visit their project page to read more or make a donation.